Painter of landscapes, occasionally enriched with animals, historical subjects and town and harbor views; engraver. Jan Ruyten was a pupil of the Antwerp Academy and Ignace van Regemorter. 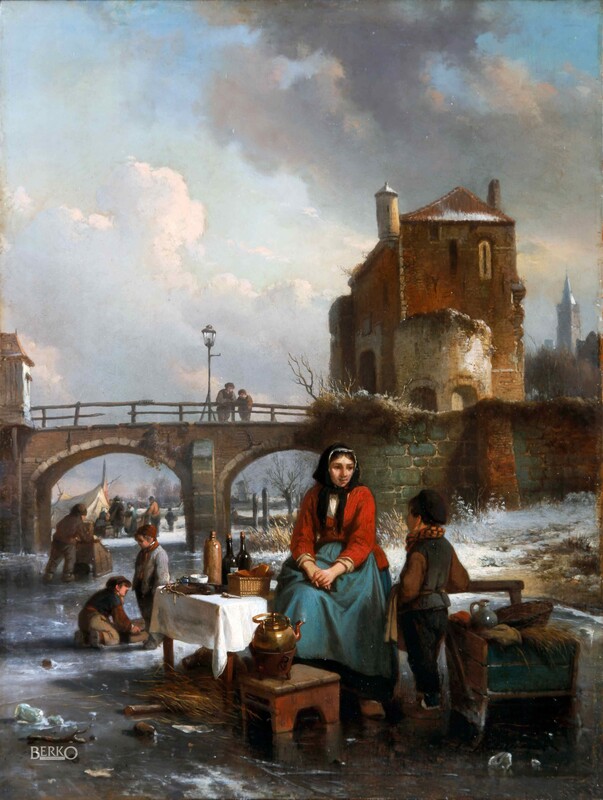 He also studied in Holland under Schelfhout, Waldorp and Nuyen (1837-38). Influenced by Henri Leys, he started to paint historical subjects. He made his debut in 1836 at the Brussels Salon. He taught Florent Crabeels and Hendrik Schaefels. His town views are very well-known and sought-after. P. & V. Berko, "Dictionary of Belgian painters born between 1750 & 1875", Knokke 1981, p. 570-572. P. & V. Berko, "Dictionary of Animals Painters; Belgian and Dutch Artists born between 1750 and 1880", Knokke 1998, p. 418.